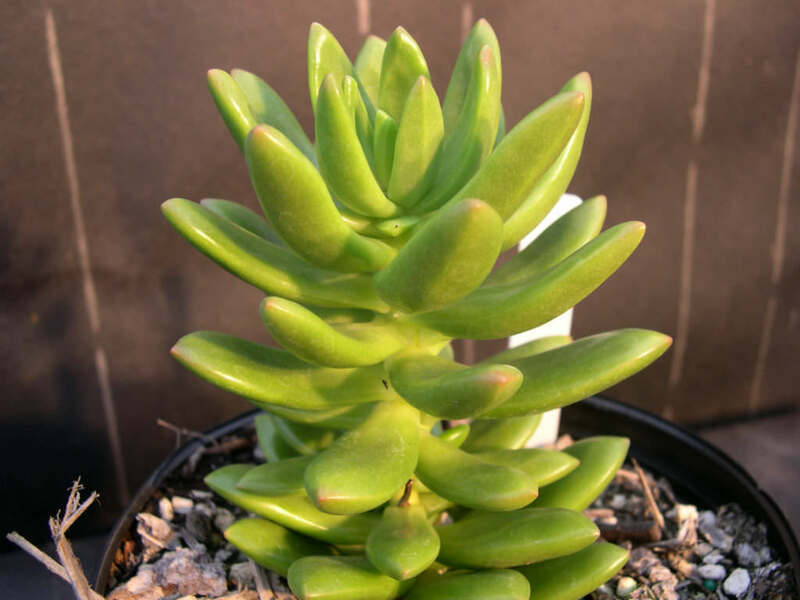 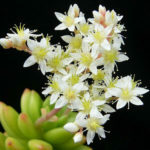 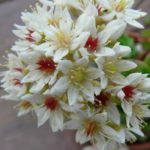 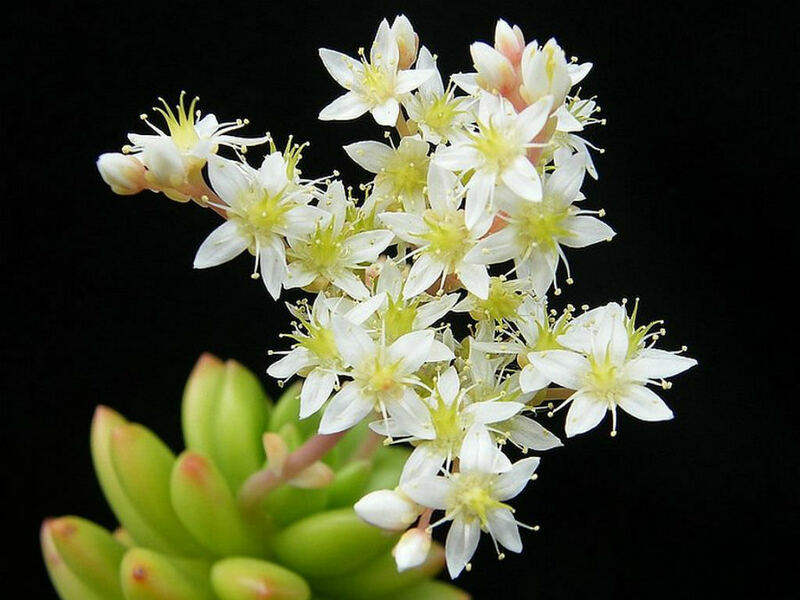 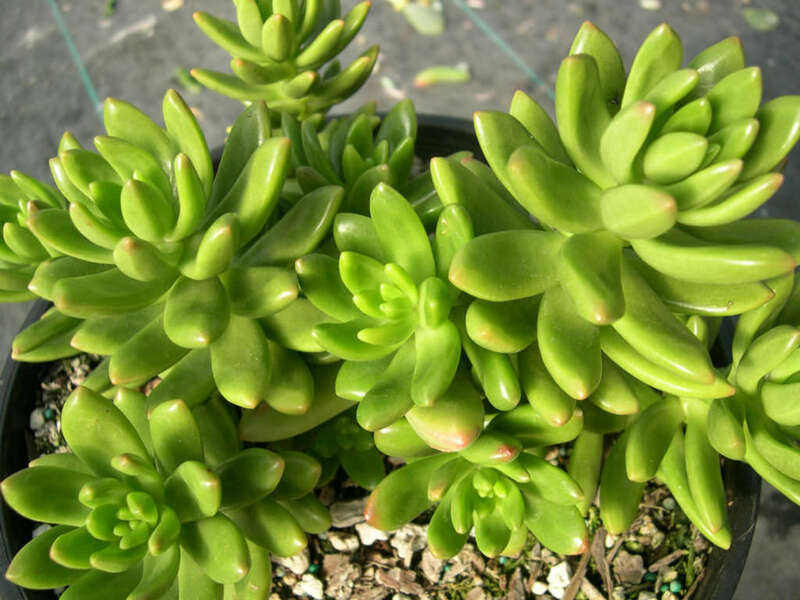 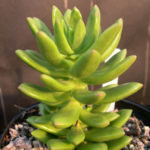 Sedum lucidum is a perennial, succulent plant up to 8 inches (20 cm) tall with distinctive rosettes of fat, lustrous, green leaves edged in red in bright light. The stems are erect to prostrate, up to 18 inches (45 cm) long, up to 0.2 inch (0.5 cm) in diameter, reluctant to drop basal leaves, later naked, grey or reddish, green when young. 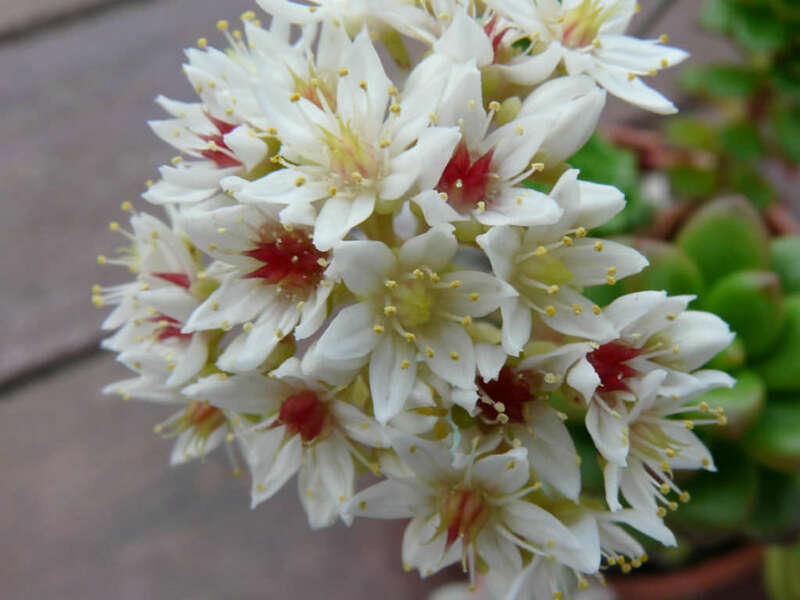 The flowers are small, pretty, white with yellow center and are produced in winter.